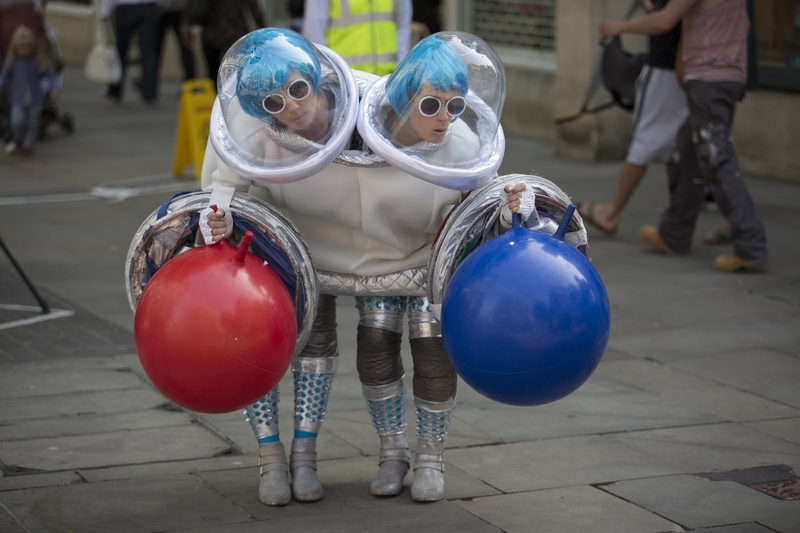 Wales outdoor arts commissioning consortium – tour of new work commences! 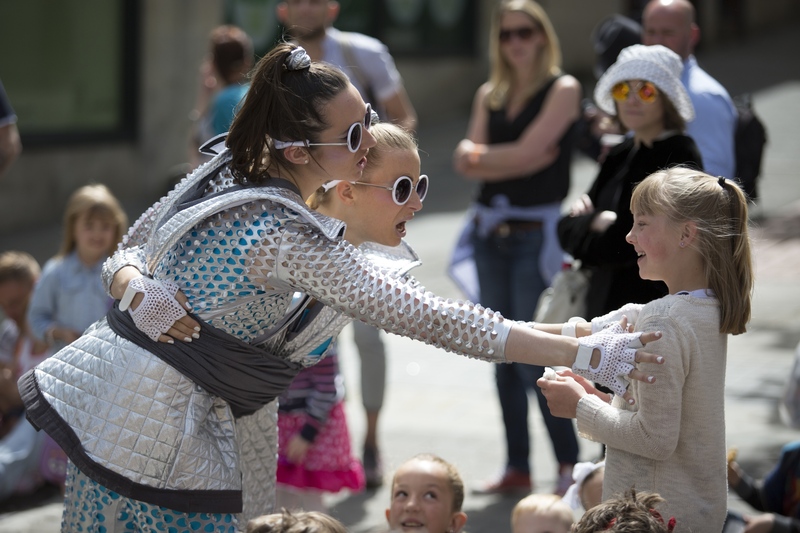 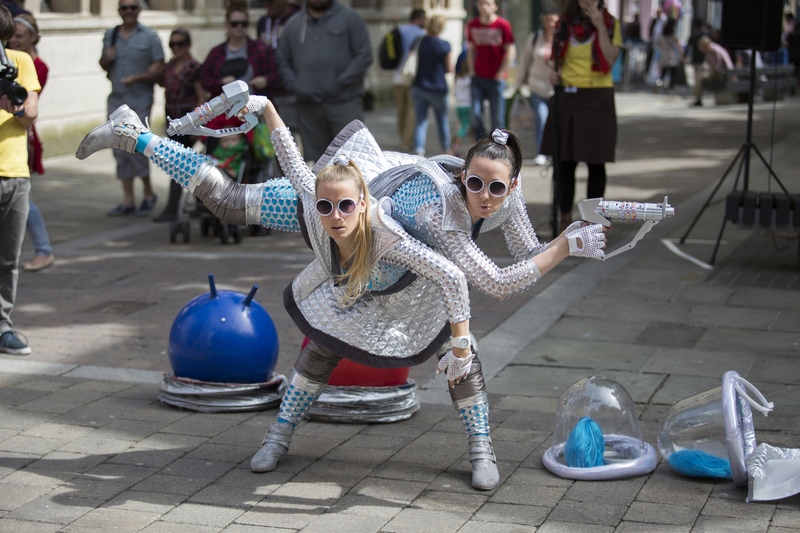 Articulture, in collaboration with the Wales outdoor arts commissioning consortium, have now started their summer 2015 tour of two newly commissioned pieces of work by Wales based artists Kitsch & Sync (‘Babs & Stella’s Intergalatic Adventure’) and Gwilym Morus Baird (‘Beic’). 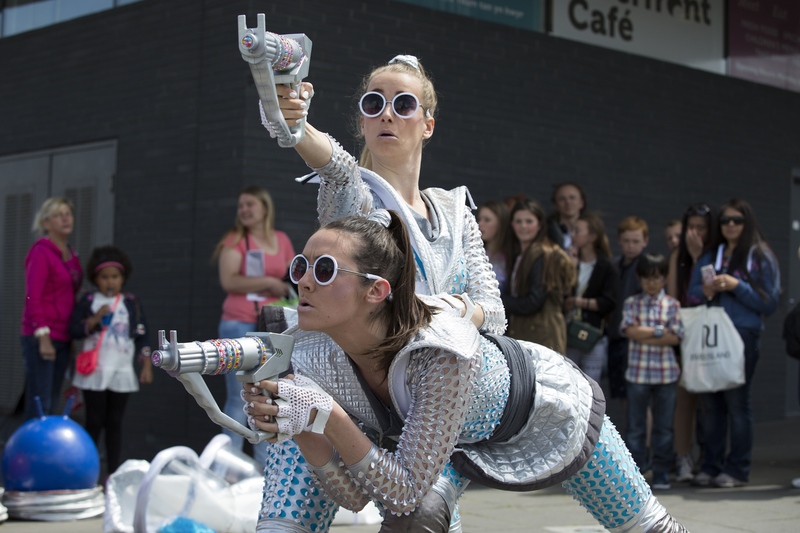 Premieres of the shows took place at The Riverfront, Newport’s Big Splash Festival on the 30th May. Images of ‘Beic’ will follow soon.